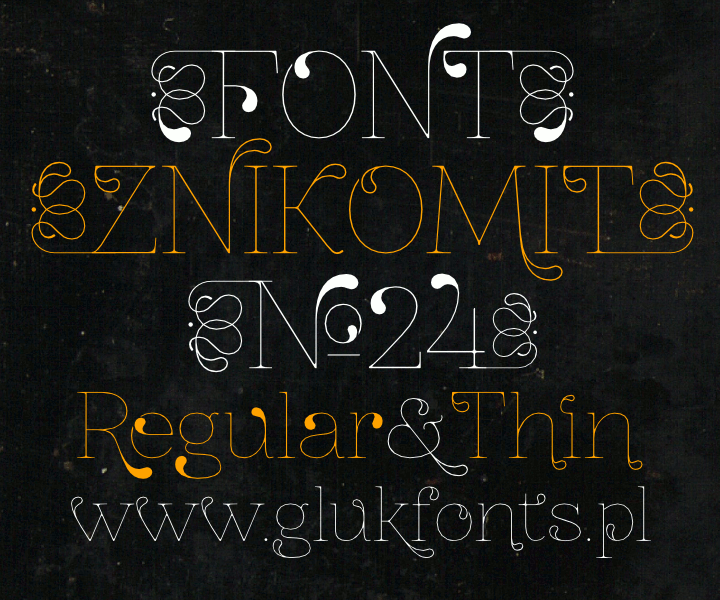 Decorative serif font ZnikomitNo24 based on my Font Znikomit. For cor­rect work Font need Open­Type fea­tures: Stan­dard Lig­a­tures and Con­tex­tual Alter­nates. 05.07.2012 -now with "Thin weight"